After the report was released, America reached out to scholars of Islam for their perspective on how to best educate Catholics and other Christians about the Muslim faith. Patrick Ryan, S.J, Laurence J. McGinley professor of religion and society at Fordham University, recommended that the U.S. bishops lead the charge on enlightening Catholics on Islam. “The bishops have a good reason to speaking on the moral issue of tolerance,” he said. Calls for tolerance and understanding will be more successful if they come from the entire conference of bishops, Father Ryan added. 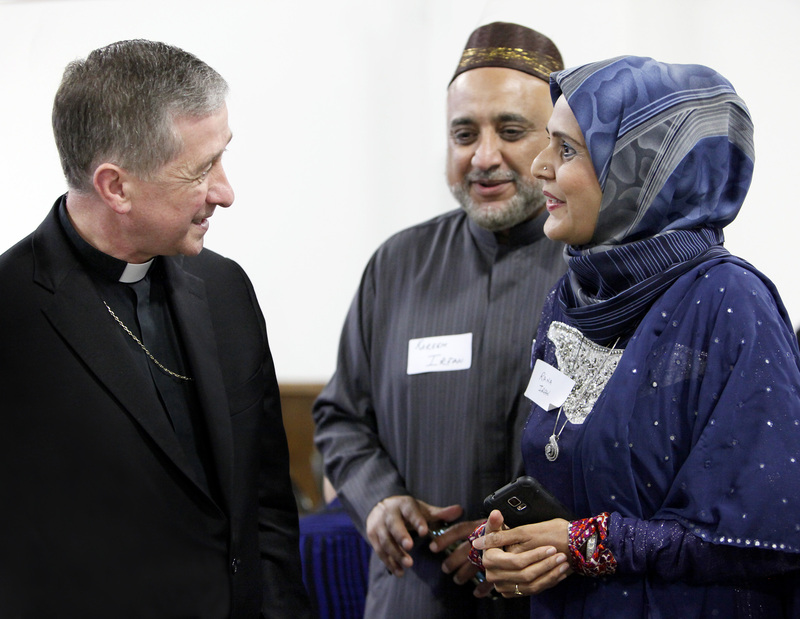 According to the Georgetown report, “Catholics place more of the blame for poor Catholic-Muslim relations on Muslims, rather than themselves,” with 63 percent of respondents identifying Muslims’ lack of knowledge of Christianity as a “considerable obstacle.” Father Ryan said Catholics have to put in an effort to bridge the divide. “We need to have a more general appreciation [of Islam],” he said. This could include individuals making an effort to meet Muslims in their neighborhoods and more rigorous education on other religions in Catholic schools. Recently, Muslim leaders and Catholic bishops issued a joint declaration denouncing terrorism and the spread of extremist ideologies. The statement, released on Aug. 18, called for just and peaceful coexistence and highlighted the similarities between the two religions. Catholics surveyed were unsure what beliefs the two faiths shared in common. The landmark Vatican II document, “Nostra Aetate” reaffirmed that Jews, Christians and Muslims worship the same God. Again I will recommend the following book by an Egyptian Jesuit, Samir Khalil Samir S.J. Fr. Samir has studied Islam extensively and his native language is Arabic. http://amzn.to/1TNUHwm Added to this is a book recommended on another discussion. http://bit.ly/2cn2qDK And it not just the Quran that is the basis of Islamic belief, one must read the Hadith and Sira to understand Islamic beliefs. Wyatt Massey is an O’Hare fellow at America.